There was a time a few years ago when I was hearing mass with my family, and I happened to stand beside this man at church. The man wasn’t dressed the way other people were dressed during Sunday mass. He looked scruffy, almost like he came straight from the streets to the church, without even wearing wide shoes for men. He didn’t look dangerous, and perhaps he even is nice given that he was in church and all. But what I really noticed were his hands. They were, if I were to be perfectly honest, kind of scary. The memory’s vague, but I remember that it looked like he had some kind of skin disease — lesions, wounds and spots — the kind that one would refuse to touch in fear of contagion. I was afraid to touch it, knowing especially that at a certain part of the mass, I would have to hold his hand while praying The Lord’s Prayer. I tried, I really did. I was in church, and holding hands with a stranger during a prayer is the thing to do. It was the good thing, the kind thing, the loving thing. It was expected. I told myself that I would do it, that I would hold his hand during The Lord’s Prayer and not be scared or repulsed or look for a hand sanitizer after the prayer. I told myself, I prepared myself and I wanted to do it. But I didn’t. When the priest told everyone to “join hands and as one family pray the prayer Jesus had taught us,” I chickened out, opened my hand but did not take his, looked ahead and prayed, feeling the guilt grow heavier as the mass went on. This particular memory may seem insignificant and well, I may be blowing things out of proportion. Perhaps the man never even noticed me at all — but it struck me because I really wanted to do the kind thing, but I didn’t because I was afraid. Just like how the other kids and grown ups in the book reacted to Auggie in Wonder by R.J. Palacio. August Pullman was born with a facial deformity that made him quite special to his family for his need of extra care. He has never attended a normal school, until he agreed with his parents to start attending fifth grade at Beecher Prep. Auggie is a perfect fit for the school, except maybe for his face. Told in Auggie’s point of view as well as five more from the people around him, we follow Auggie as he faces one of the most challenging times of his young life. I was prepared for a barrage of emotions that Wonder could probably give me, after reading several reviews and updates from Goodreads friends about this book. I knew that I was probably going to like it, but what I wasn’t prepared for were what kind of emotions it would bring. Being a middle grade book, the writing was pretty simple and easy to read, especially since most of the narrators were kids as well. Wonder is bound to remind readers of their own middle school (or in my case, late elementary years, since we do not have middle school in the Philippines) experiences. It’s strange to think of it, but young people can be very mean, even if it’s not on purpose, and Wonder shows how it could be. My heart went out for Auggie, especially since he did not ask to look like the way he does. Like his parents, I wanted the best for him too. The story was told not just in Auggie’s point of view, but also with five other kids who surrounded Auggie’s life. This made the book a little easier to relate to because let’s admit it: most of us don’t have what Auggie has. Of all the characters, I identified the most with his friend, Jack. I really wish I could be like Summer, that I could choose to be kind before anything else. I think Jack represents the side of everyone who tries to be good but fails, and then tries again anyway. And I think the trying is the most important part of it all. There’s a lot of buzz with what Wonder teaches, or attempts to teach, but I think maybe we shouldn’t over think it too much. Sure, there are some parts that may seem a little simple, that the ending may seem to be a little too nicely wrapped up, almost like how a movie is done and we know real life is never that way. 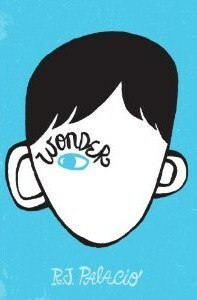 I see it as a simple thing: I see Wonder as a middle grade book that teaches kindness — to quote, “…to be kinder than necessary.” That as human beings, we do not just have “…the capacity to be kind, but the very choice of kindness…” and to choose that even when it’s not easy, when it’s inconvenient, even when it’s uncomfortable. Even though reading Wonder reminded me of that particular incident I shared at the start of this review which brought back some of the guilty feelings, this book made me feel a lot better after reading it. A little bit more whole, even. With a stronger resolve to be kinder than necessary. I think that a book that can make its readers feel like that is worth a second glance. I’ve seen so many glowing reviews for this book and I’m really curious about it. Haven’t seen it in local bookstores though.